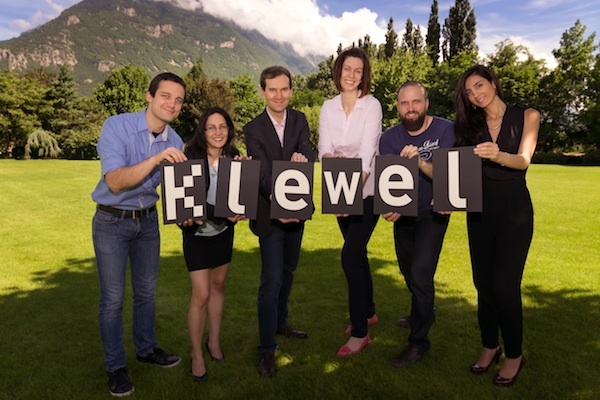 Klewel 2.0 | Prix Sommet 2014: Ambassadors of Valais/Wallis? let’s vote for Klewel! The “Prix Sommet”, What is it? 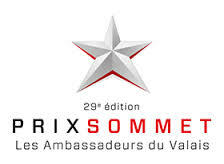 The Prix Sommet 2014 is for rewarding Swiss companies that will ensure continuity of the Valais economy whatever their domain of expertise: technological, tourism, agriculture, biology, chemistry, etc. Until Monday, November 24, it’s your turn: vote online among 5 companies! Much richer and diverse than anyone imagines, the Valais economy is full of computer SME, pharmas and microtech companies. 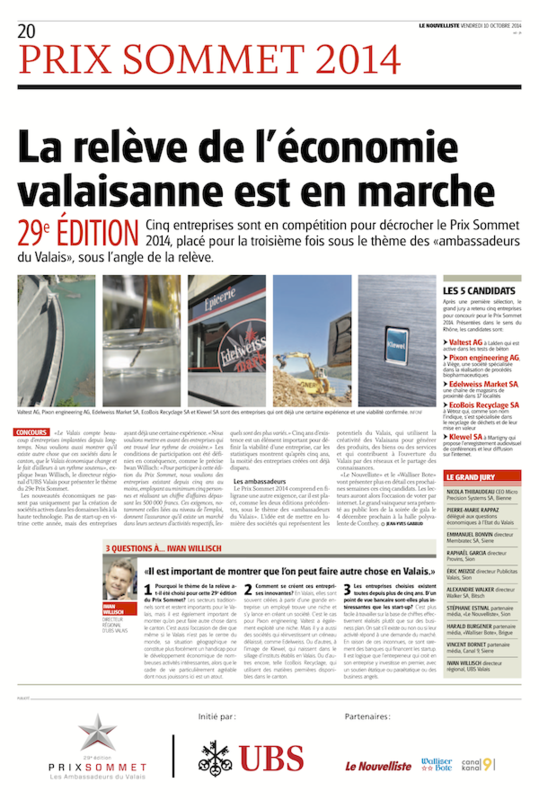 For a canton of Valais at the forefront of technology, who create jobs. For gender equality – women in business, even in computer science! 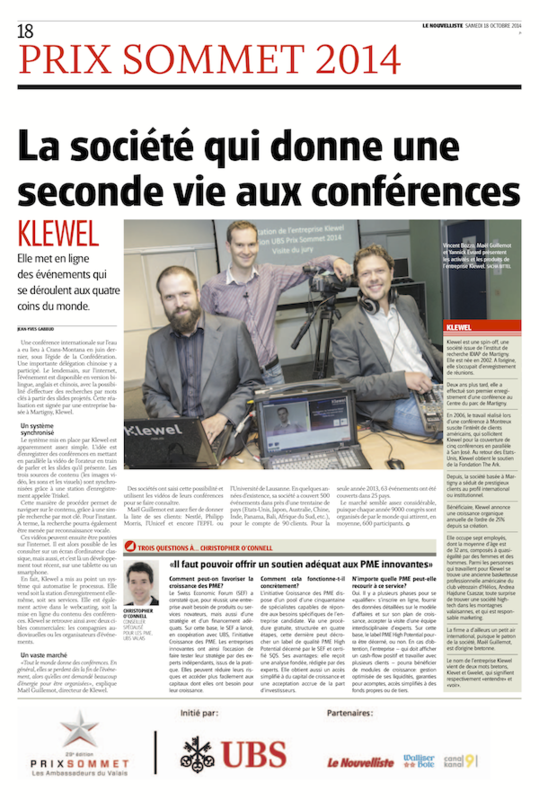 For knowledge sharing, interesting debates, human contacts, openness towards others and novelty. For technology at the service of human communication. And not the reverse. For a working environment close to nature, for sustainable mobility and the use of public transportation. Thank you to all participants of this vote. You have a question? Contact us!